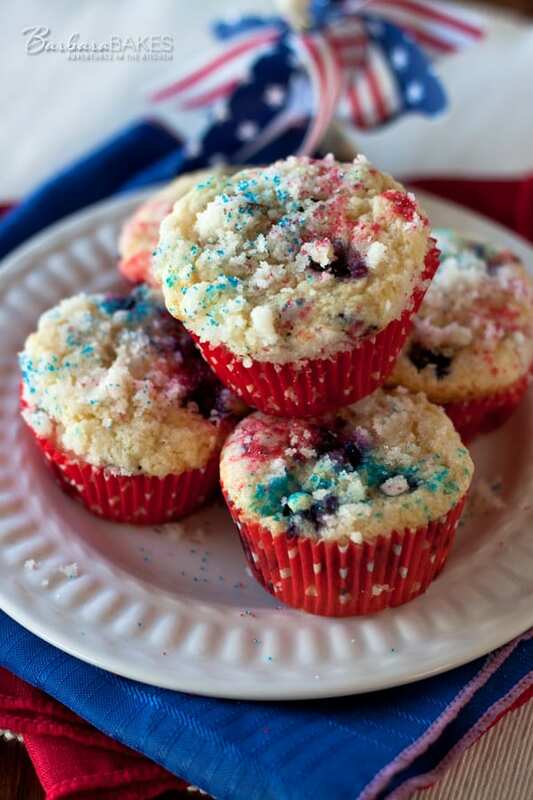 Kick off your Independence Day celebration this year with red, white and blue muffins. 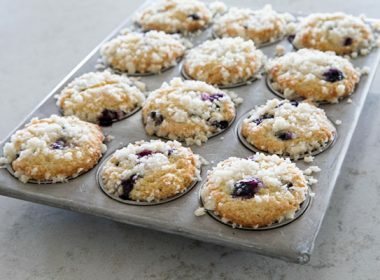 Moist, fluffy muffins load with red cranberries, blueberries and topped with a sweet white streusel topping. 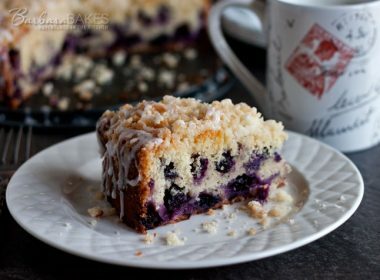 My family loves walking up to piping, hot muffins and one of their favorites is Blueberry Streusel Muffins. 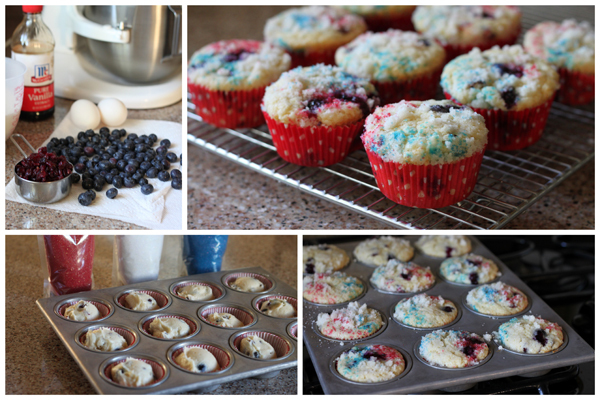 I decided it would be fun to dress them up for the 4th of July by adding dried cranberries and sprinkling them with red, white and blue sanding sugar. The dried cranberries added a great texture as well as a little tartness to the muffins. The colored sugars added to the fun red, white and blue theme, but they’re definitely optional if you don’t have them at home. We always have barbecued ribs on the 4th of July. This year I’ll serve the ribs with Quick Potato Salad made in the Pressure Cooker, plenty of fresh fruit and corn on the cob. For dessert, some easy-to-make Fresh Berry Parfaits. When the sun goes down we’ll be celebrating with fireworks in the street and end the day with a bang. How about you? How will you be celebrating this 4th of July? Prepare streusel topping: combine sugar and flour in a small bowl. Mix in oil with a fork until well combined and sandy; set aside. 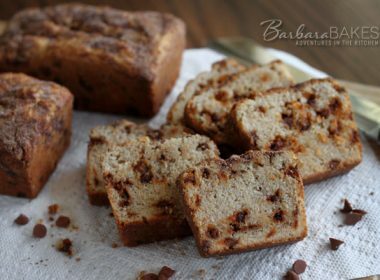 In a large mixing bowl, beat butter and sugar until light and fluffy. Add eggs, vanilla and milk and mix until well combine. Add flour mixture and stir just until blended. Stir in blueberries and cranberries. Divide batter evenly into 12 muffin cups.Sprinkle muffins with streusel topping. 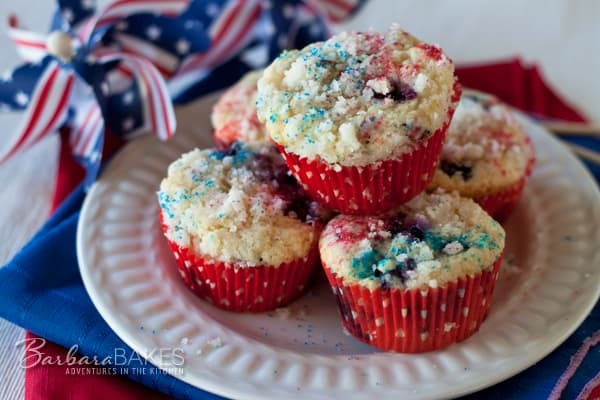 Sprinkle streusel topping with red, white and blue sanding sugar. Bake for for 20 to 25 min, until a tester inserted into the center comes out clean. Remove from oven and cool for a few minutes in the pans. Remove muffins from pans and cool on a wire rack. I haven’t tried it, but here’s info about making sanding sugar http://www.thekitchn.com/sanding-sugar-color-your-own-134704. It sounds pretty easy. 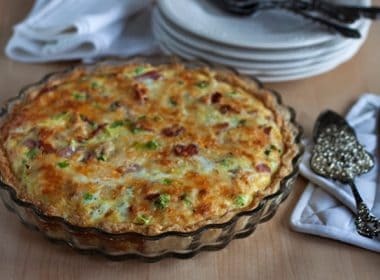 Pingback: The BEST Patriotic Fourth of July Recipes – Red, White and Blue desserts, appetizers, snacks & drinks to celebrate! 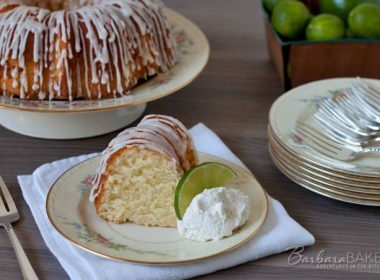 These looks wonderful Barbara! I hope you had a great weekend! There is no better way to start the day than with a warm homemade muffin. 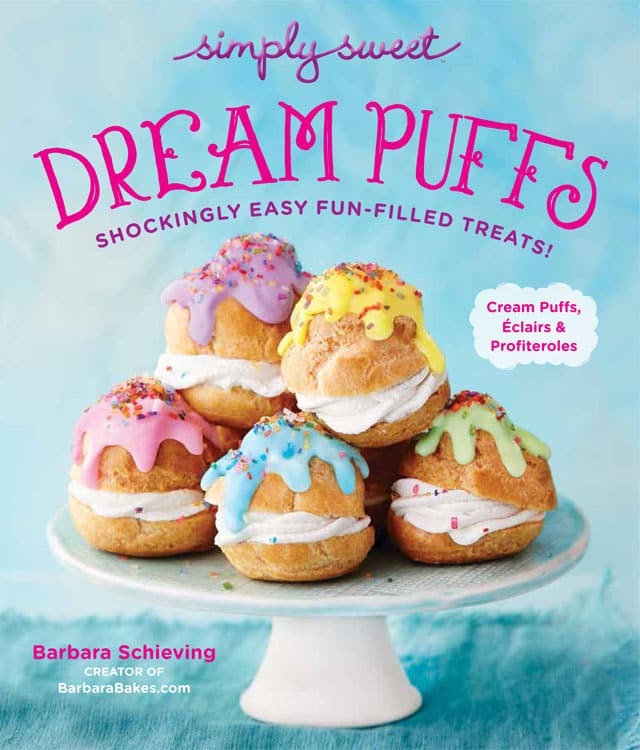 These are so festive, Barbara, and delicious too I’m sure. I hope you and your family are enjoying a very happy holiday weekend. 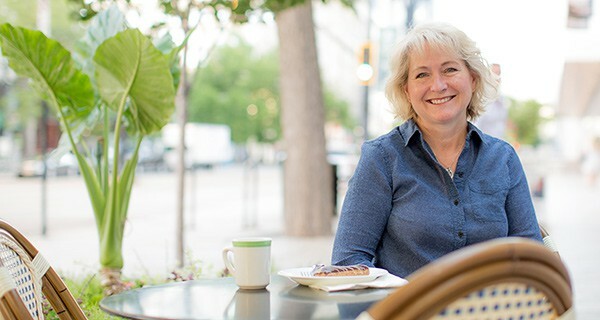 You;re such a great mom- who wouldn’t like to wake up to piping hot muffins? I know I would! These are so festive and fun for the 4th!